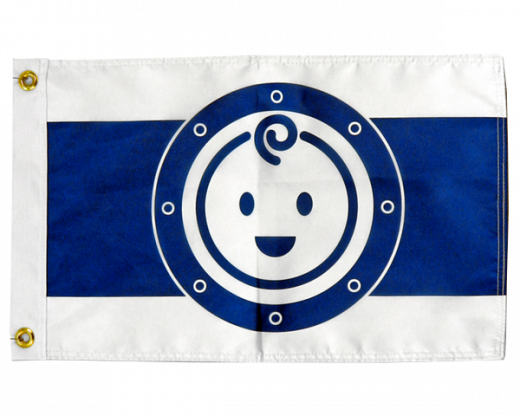 Design Your Own Custom Boat Flag! 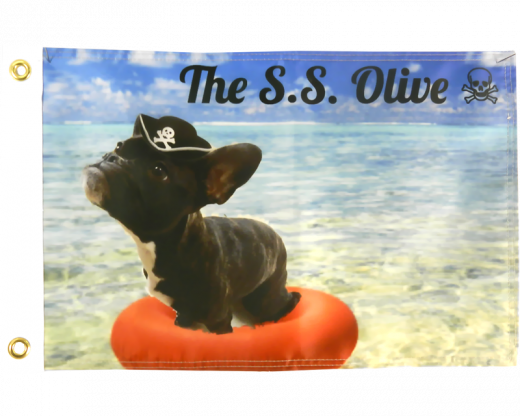 Create a completely customized printed boat flag featuring a photo, image, logo, or design of your choice! 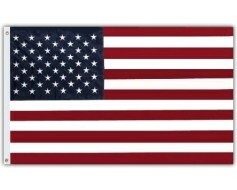 At Gettysburg Flag Works, we are proud to offer affordably priced custom printed boat flags made right here in the USA. 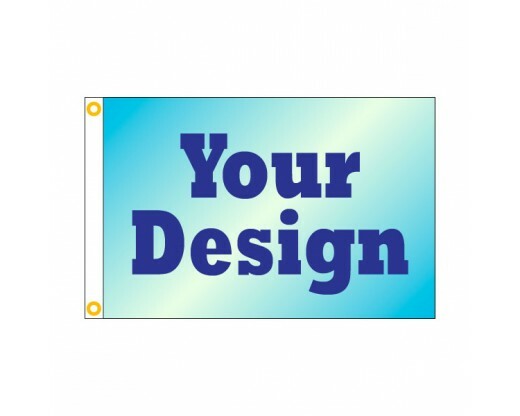 Our high quality flags are double sided and made with a liner. 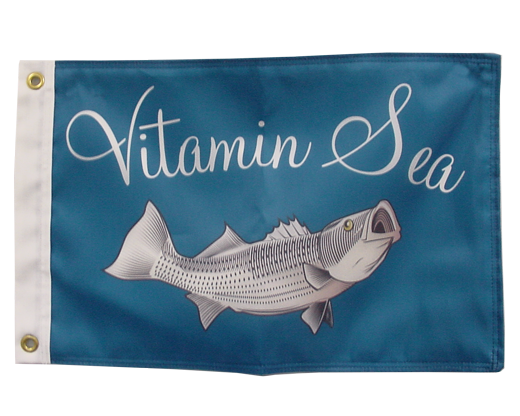 12 x 18" full color printed boat flags are make great gifts and are perfect if you've been searching for something truly unique to fly on your boat! 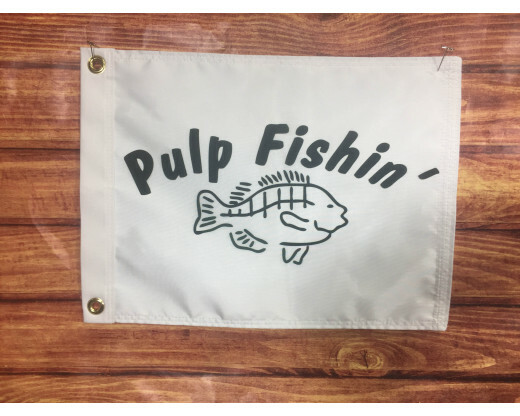 Send us a photo or logo to decorate it with, or just instructions on how you want your custom boat flag to look and we'll make it happen. Need some ideas and inspiration? 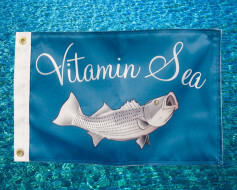 Check out our Custom Boat Flag Portfolio! Production time is 10-15 business days from date of artwork approval. 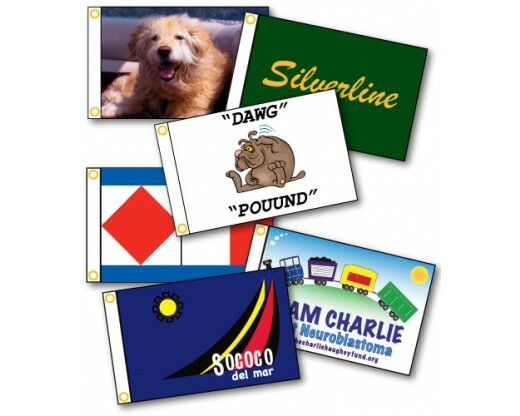 Need your custom printed boat flag faster? Give us a call at 1-888-697-3524 for rush service with a shorter time line. *I have permission to use this artwork from the artist / owner of the copyright. Call for pricing on other sizes. All artwork must adhere to our Artwork Requirements and can not be infringing on trademarks or copyrights. 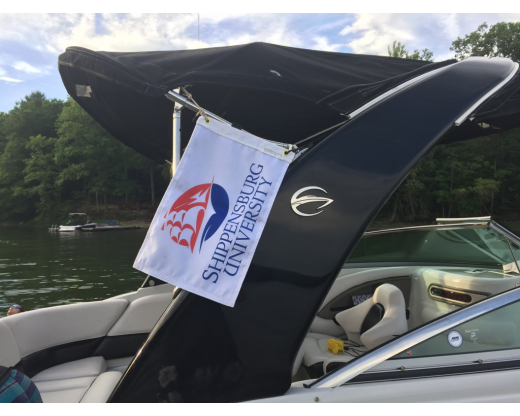 View our Custom Boat Flag Portfolio to see a sampling of the custom printed boat flags we've designed for past customers! 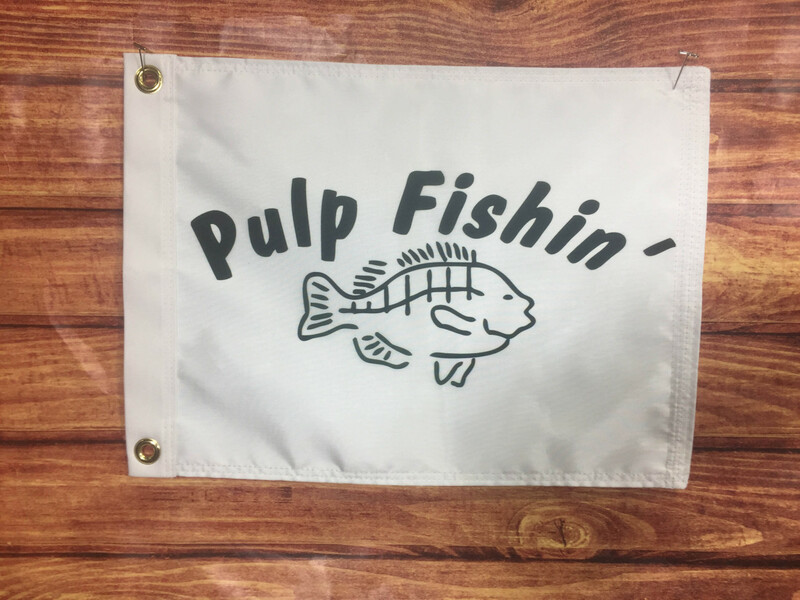 Check out this video clip sent in from a customer of their string of custom boat flags! I just received my flag today. It is great it is just what I wanted! You did a wonderful job. Can't wait to put it on the boat this spring. Excellent work, boat flag looks great can't wait to fly it. Fast turn around and speedy delivery. The staff was helpful and responsive, made suggestions for improvement - the turnaround time was less than a week, and the finished product is great looking and very well made! Will definitely recommend to friends!! The burgee y'all made for us was really durable material, and higher quality than we expected. We love it. I just received my dadâ€™s flag and it looks AWESOME! Thanks so much for all that you did to get this design done. I look forward to ordering more boat flags from you!!! Sea Monkeyâ€™s flags arrived today and they look just great â€“ thanks for the friendly/fast/efficient work! I can't wait to let her fly! My flag just arrived and it is absolutely fantastic! I knew I would like it, but it is way beyond my expectations! Thank you so much for the awesome job you did and all my best to everyone at Gettysburg. My new boat will be delivered in two weeks and I can't wait to let her fly! Just received my custom boat flag. Looks really great. Thanks for your great service and great product.